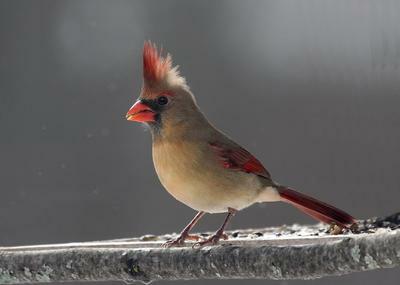 Female Cardinal sent in by Alex Strong - isn't she beautiful! Extraordinarily beautiful! !Love all the cardinals!